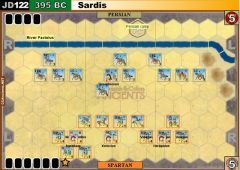 2 solitaire with the Persians winning both 5- 2, and 5 - 3. 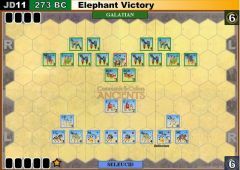 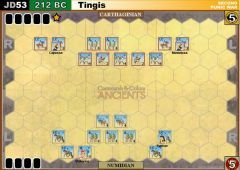 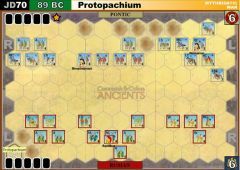 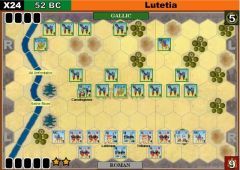 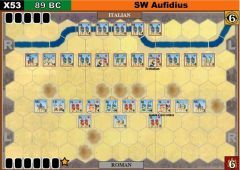 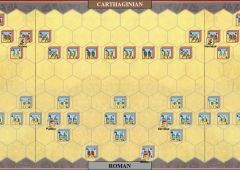 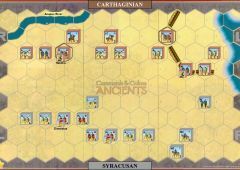 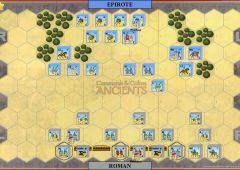 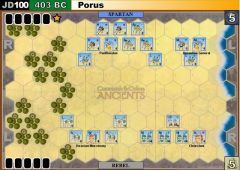 In the first game, after the Persians had routed the left flanks of the Greeks, they then turned on the Greek center, and with the Persian center now advancing, the game was quickly over. 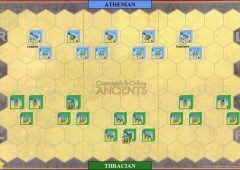 In the second game, the Greek center was able to advance to the Persian center line, but was unable to withstand the attacks on their flanks. 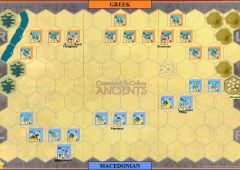 The game ended when a Persian chariot took out a full strength Greek heavy infantry unit with one roll!